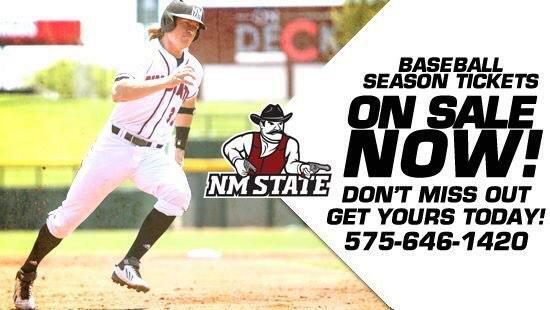 Find Important and Latest News About NMSU Athletics. #AggieUp! LAS CRUCES, N.M. (May 21)-The New Mexico State soccer team is having walk-on tryouts for the 2013 season Saturday, Aug. 10 at 6 p.m. at the NM State soccer field west of Aggie Memorial Stadium. Interested individuals need to email assistant coach Freddy Delgado (delgadof@nmsu.edu) and provide your name, NM State student ID number, high school attended, club team and soccer resume. If an individual has previously attended college, she must include what year she will be in school as well as prior colleges attended. Pick-up a tryout form from the NM State compliance office located on the north side of the Pan American Center and next to the ticket office. Take the form to the athletic training center in the Fulton Center on the second floor. Proof of insurance and proof of a physical with doctor’s statement that athlete is cleared for physical activity are needed. You must also get a sickle cell test done and the results must be provided to the athletic training room with physical papers in order for them to sign off (both the physical and the sickle cell test are required to tryout). If you are unable to get a physical from your home doctor, you can get a physical from the campus health center on the NM State campus. The number is 575-646-1512. You will need to schedule an appointment at least one week in advance of the tryout date to ensure enough time to get the sickle cell test results back. A NM State athletic trainer will sign the form when he/she approves you to tryout. Return the form to the compliance office so that they may assess your academic eligibility and all things related to ensure you are eligible to tryout/play soccer at NM State. You must be admitted and registered full-time on the main Las Cruces campus and be in good academic standing. For more information, contact Freddy Delgado at delgadof@nmsu.edu or 575-646-7922.